Photo Source: Our Lady of the Rosary School’s Facebook page. Over time, the student body at Our Lady of the Rosary School changed. The Dayton, Ohio, Catholic, K-8 elementary school was serving more Latino students who are recent immigrants. It was a shift other urban Catholic schools were seeing. And educators knew they had to adapt. 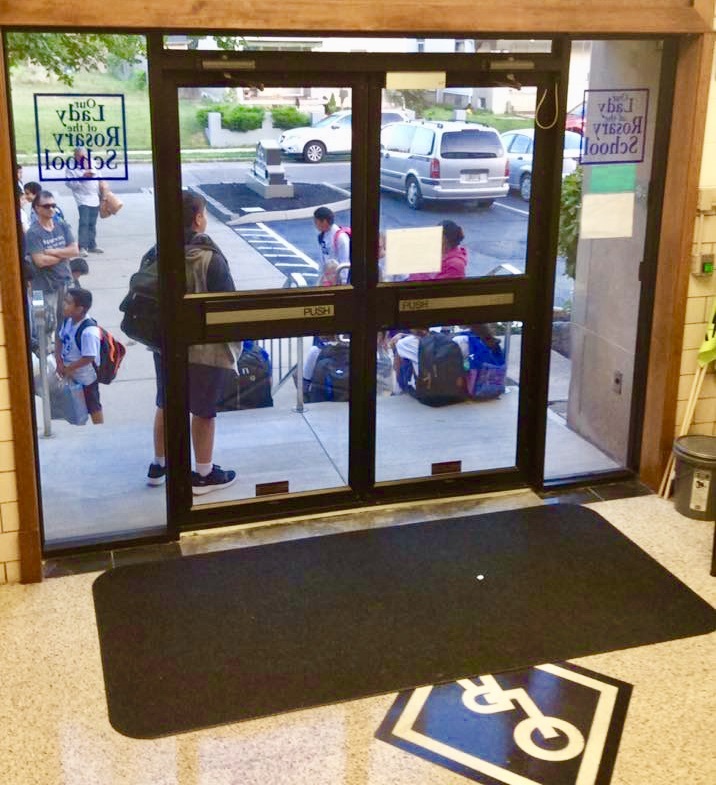 Mary Walsh, City Connects’ Executive Director, was seeing the same population changes as well as the need for schools to keep up with students’ needs. “Urban Catholic schools can and should provide a safe educational environment that is tailored to the cultural and linguistic needs and strengths of immigrant students and their families,” the report adds. To provide that support, Our Lady teamed up with City Connects; and now Loffer and the school have won a Nuestra Familia award from Ohio’s Latino Affairs Commission and Ohio State University’s Office of Diversity and Inclusion. What came before the award was a decade of work. It was Our Lady’s former principal Jenny Ritzel who started the partnership with City Connects. This led to a year-long planning effort, hiring a coordinator, and training staff to understand the City Connects process of whole class reviews, and when necessary, individual student reviews. Ritzel welcomed a few Latino families, and Loffer, when she became principal, welcomed more — and hired a bilingual coordinator who helped build a level of trust with families. “Building community partnerships is also vital,” Loffer says. One example: Our Lady works with an organization called El Puente that recruits college students from Wright State University to provide one-to-one tutoring to bilingual elementary school kids. Our Lady and El Puente also share a staff member and a volunteer. It’s a collaboration that helps children – and boosts program sustainability. City Connects’ data was another important tool. It let Loffer and her team identify gaps in services and see what additional community partnerships might be needed. “This year looking at the data, I’ve noticed that we have some gaps with our African-American boys and girls,” Loffer says. “So, we need to find community partners for those populations as well.” To start this work, Our Lady’s coordinator will talk to other local City Connects’ coordinators who work with larger African-American communities. This is a key program asset, that coordinators can always reach out to colleagues across the City Connects network for guidance and inspiration. Congratulations to Loffer and Our Lady of the Rosary for their dynamic work in ensuring that all their students have the support they need to succeed.